Sureka group projects always maintain a quality. Same applies for Sunrise Symphony. I am a regular investor, and as per my views, investing in any project of New town is worth it, as, this is the developing part of the city, in close proximity with Airport. Always trusted Sureka group projects for investment purpose! I am an NRI. I have booked a flat at Symphony last year on resale from Axiom. I have rented out the same,and earning handsome revenue. Would suggest all to check in this project before finalising any deal. Sunrise Symphony comprise luxurious air conditioned apartments at Rajarhat Newtown - the new destination for real estate developers and IT firms in Kolkata. Lush landscaped surroundings, detailed design, plenty of open space and state-of-the-art facilities come together to form a melodious whole that makes Sunrise Symphony a projection of harmonious living. The complex is coming up in a 5 acres piece of prime real estate in New Town Rajarhat, Kolkata, with 2 HIG towers of G+18 floors along with enumerable lifestyle amenities. 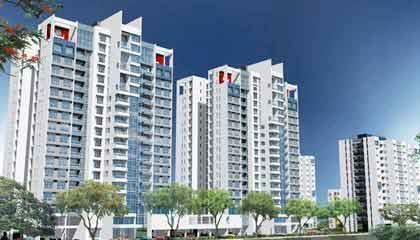 Sunrise Symphony is located at Action Area II B, New Town Rajarhat, Kolkata. It is flanked in the north by VIP Road and in the south by Salt Lake, Sector V, the IT hub. All the essentials like hospitals, the business district, shopping malls and schools are only a stone throw away from the property. The airport is a 15 minutes drive from the it. The Sureka Group has over three decades of experience in creating landmark buildings. Over 2 million square feet of multi-storied buildings, both commercial and residential, have been promoted and executed by the Group Companies. 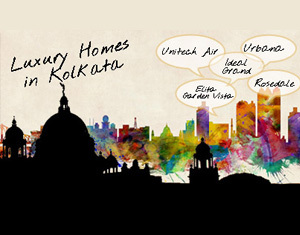 On the anvil are several projects destined to irrevocably change the face of Kolkata real estate. J.K. Millennium Centre, Park Plaza, Duckback House, Central Plaza, Ram Vatika, Khaitan Mansion, White House, Merlin Court, Jindal Towers, Sunrise Estates are some of the successful developments by them. 2. Fill up the Application Form and send the same to our nearest office along with the payment of 10% of property value. Rest as per payment plan. You can also opt for easy installment scheme and book you property. Note: The developer reserves the right to alter/enhance the above mentioned additional expenses. The amount mentioned here are indicative.